Free, Open Source. Download prebuilt package or visit repo on GitHub. 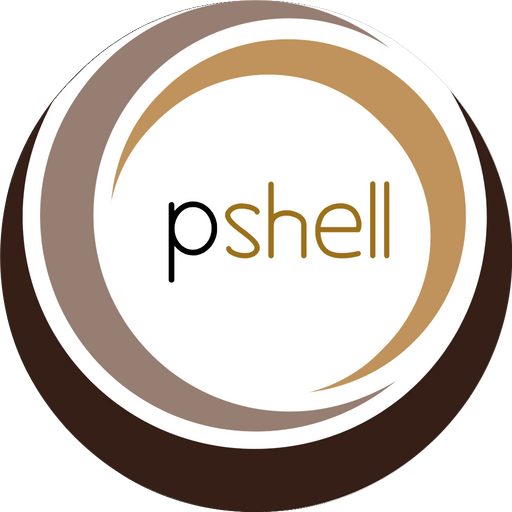 Opshell was created to assist with managing instances via SSH across multiple organizations. Works with AWS Regions and Google Cloud Projects. Add multiple Organizations and Regions or Projects within those organizations. Add custom users and import SSH keys. System administrators, freelancers who have many AWS or Google Cloud clients, small companies with just a handful or even single instances. Built to help with repetitive tasks. It’s not uncommon to have to connect to many servers throughout the day. 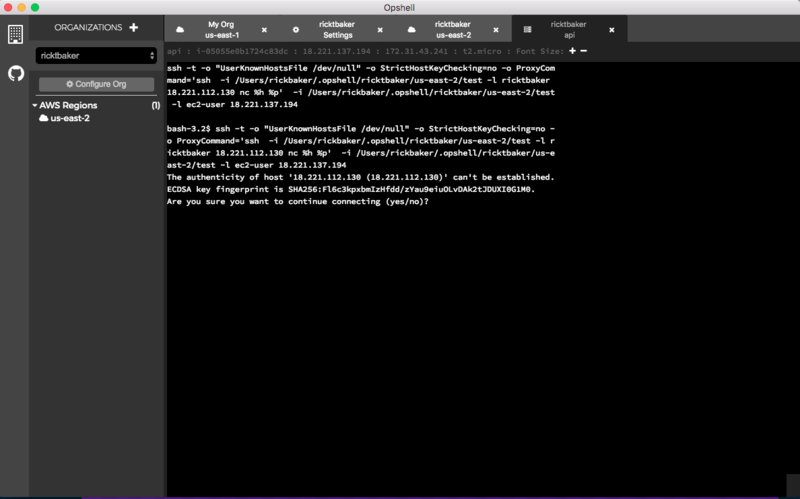 Logging in to the AWS or Google Cloud console to find the server you need to connect to becomes tedious, especially if you’re managing servers across multiple organizations. Built on Electron and Vue, Opshell is Open Source. Feel free to download a pre-built package or grab the source code. Create as many organizations as you need. Each organization can have it’s own AWS regions, Google Cloud Projects, users, SSH keys, bastion hosts. Once your organization is setup, you can select your organization, pick a region/project, get a list of servers in that region/project and easily connect via SSH. With multiple tabs available you can be connected to any number of servers at the same time in any of your organizations.. Note: Applications are unsigned. Since this is a personal Open Source project I have not invested the funds to be able to sign these on Mac and Windows. Source Code is fully available on GitHub so you can see I’m not doing any behind the scenes hackery!